I've recently become slightly obsessed with Lush products. 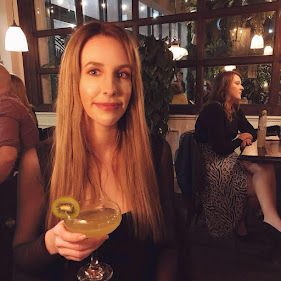 Before recently I would only ever buy the occasional bath bomb. And by occasional I mean roughly once a year. But now, I am a changed person! Every time I walk past a Lush store I always end up leaving with at least one bath bomb or a bubble bar. 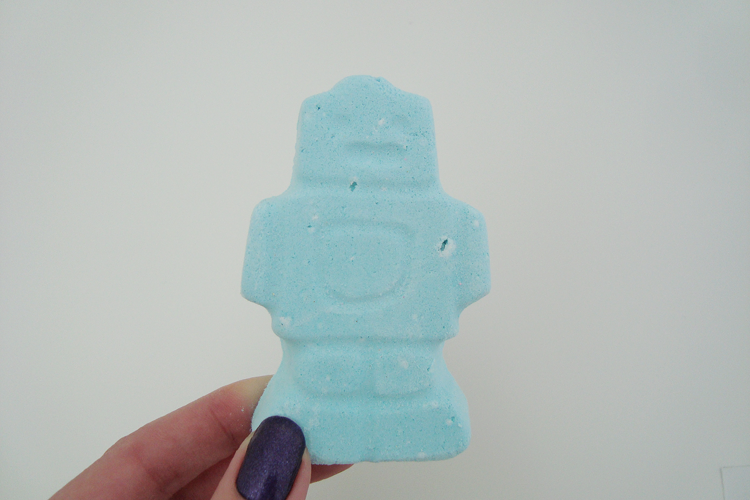 One of my (many) most recent Lush purchases is the Ickle Baby Bot Bath Bomb. Like all of my many impulsive Lush purchases, I buy them purely because they are aesthetically pleasing and smell wonderful so it was only when I got home that I realised this is a bath bomb designed for children! It is such a lovely idea, having little bath treats aimed at smaller people too. Why shouldn't they enjoy a nice bright blue bath like the rest of us? That said, even though it is aimed at children, adults can still use it too. 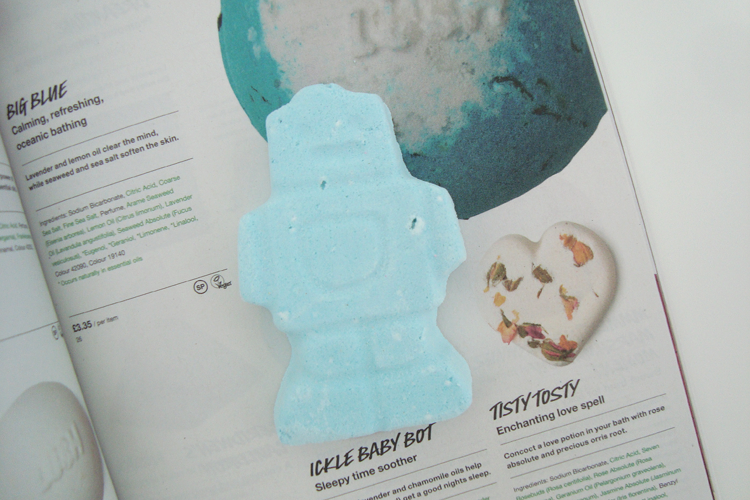 Ickle Baby Bot Bath Bomb is designed to help relax you before bedtime so you have a nice, peaceful sleep. One of the main ingreidants is lavender oil which is proven to calm and relax you therefore it will be perfect before bedtime treat. "A gentle lavender bath bomb to relax children before bedtime. This is a bath bomb designed to look after young children's delicate skin, and is so gentle it's suitable for babies over six months. Its aromatherapy oils also work to soothe irritable cherubs before bedtime. Lavender is a calming aromatherapy oil, used in traditional medicine to treat skin irritations, sunburn and insect bites." When dropped into hot water, Ickle Baby Bot instantly fizzes and it's little feet dash away into the bath, leaving the body to slowly melt away. The water turns a wonderful bright blue and the smell is wonderfully relaxing and I felt instantly more relaxed. I had my bath quite shallow, ie not really an adult sized bath so I am not sure what the colour would be like if you were to have more water in the tub. Overall, a lovely relaxing little bright blue bath bomb. It is the most perfect treat before bedtime which smells wonderful and left me feeling much calmer and more relaxed.